Last weekend I took a trip to Berlin; Visiting friends, former colleagues, and just enjoying the unique spirit of the German capital. Owing to the then imminent European elections, the city was strewn with election posters, placards and other paraphernalia. In the fancier parts of Charlottenburg, one could see the anti-European poster-campaign of the Eurosceptic Alternative für Deutschland (AfD), whereas in the more alternative areas of Friedrichshain (where I spent the majority of my time), a broad mix of communist, Marxist-Leninist, Green and social democrat posters were the order of the day.Although, admittedly, nowhere is without a strong presence of the omnipotent Angela Merkel, whether outside a baroque palace or communal squat. Immediately upon my return to Brussels, I was present at the European Business Summit (EBS), a two day public affairs extravaganza, where the worlds of business, enterprise and European policy-making are fused. My attendance related to work, but could not help but be taken by such a swift change of scenery. Indeed, in many ways, the same people were there. Outside the wonderful Egmont Palace, Brussels most desirable conference venue, by all accounts, an either Francophone or Dutch-speaking variant of the same people I often happened across in Friedrichshain were protesting outside the EBS. According to Euractiv, some 240 people were arrested during the non-violent demonstrations. In Berlin, armed with casual clothes and, more often than not, a bottle of the traditional Berliner beer Sternberg, I would have seemed a little innocuous. Outside the EBS, I sported the traditional Brussels’ suit (albeit with a quite colourful shirt-tie combination, but I don’t think it would be honest to claim that this had any greater meaning than making ad-hoc decisions based on when I was last able to do a laundry! ), I guess my clothes made more of a statement. Indeed the principle reason for attending was to attend a discussion on how regional authorities can work with business to support sustainable jobs and growth. I was also able to attend the address of Commission President José Manuel Barroso, quite a passionate speech, with the powerfully honest and reflective tone of someone in the final phase of their time in office. Indeed, overall I enjoyed the EBS. Many of those protesting outside might not assume that the dominant theme of discussions throughout the venue, not just in front of the cameras, was the need to win back citizens’ trust. The EU needs employment and investment, as well as structural and institutional reform. On the basis of that simple logic, Europe needs business. Of course, SME’s, start-ups and entrepreneurs have a broader meaning than just that. SMEs and small businesses are also vehicles for creativity, ambition and allowing people to achieve prosperity. A healthy business environment is needed. As you can imagine, armed with such views, it wasn’t particularly difficult to enter into conversations with my co-delegates at the EBS. But the protesters outside on Avenue Louise/Louisa Laan, and the leftist electoral posters (some of which were strongly pro-European in sentiment), were clear, if not unrepresentative of all European citizens, reminders of the loss of trust people have in both European and national politicians, as well as big business. It is also a reminder that when discussing the (vital) role of business in the European recovery and the future development of the European economy, there is an equally strong need for good regulation, social protection, a European welfare state and, most importantly, a space in which the voices of ordinary citizens can be heard by policy makers, regardless if they are in Brussels, Berlin, London or Washington D.C.
Of course, it’s only when the new parliamentary assembly starts work, that we can start to see about how we might best achieve a business-friendly social Europe, but it will take pan-social cooperation to achieve the Europe that the citizens deserve. 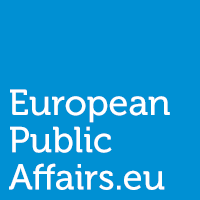 PreviousThe Multiple Seats of the European Parliament – Role Model of Good Governance? NextPower struggle for the EU Presidency: will the UK manage to block Juncker?